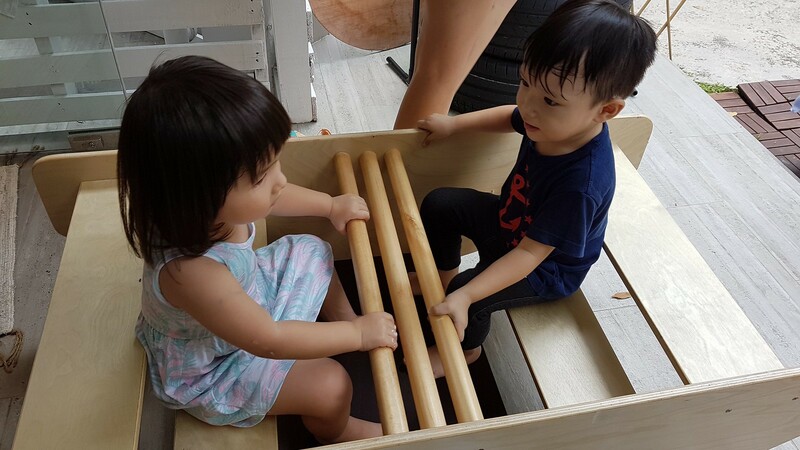 Nuts & Bolts is a quaint little standalone shop in Balestier Road specialising in open ended toys sourced from all over the world. 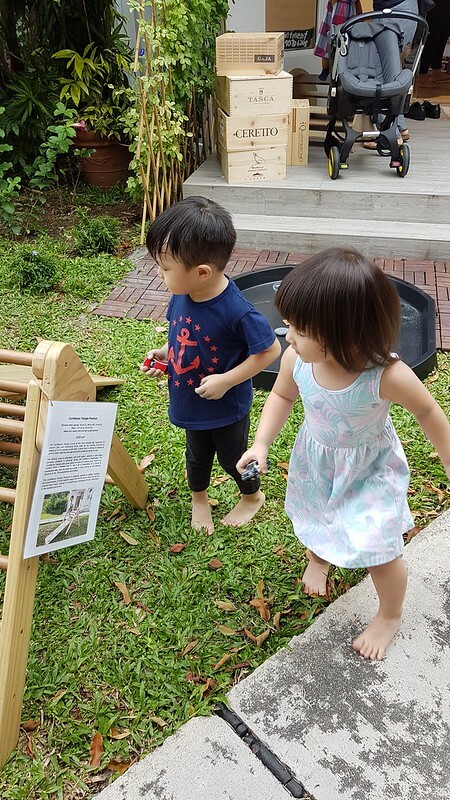 Open ended toys are toys which can be used in a variety of ways, depending on the child’s creativity and imagination. 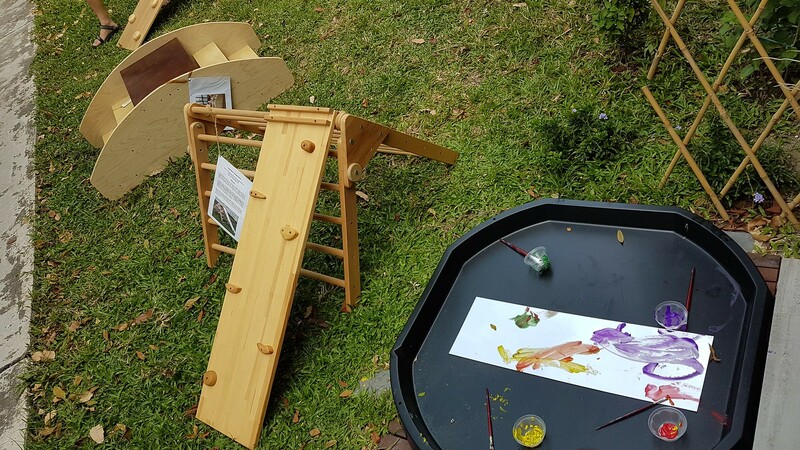 For example, a curved wooden board can be a rocker or flipped over to become a tunnel. It can be propped up against a sofa and used as a slide. 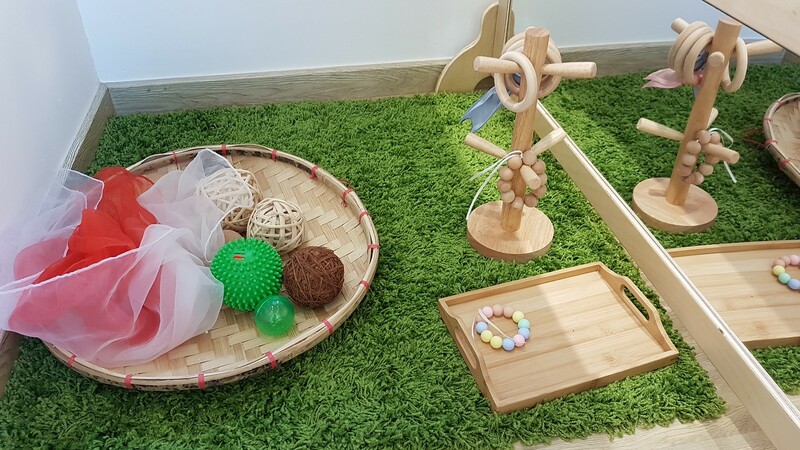 Open ended toys are kept simple and as natural looking as possible. 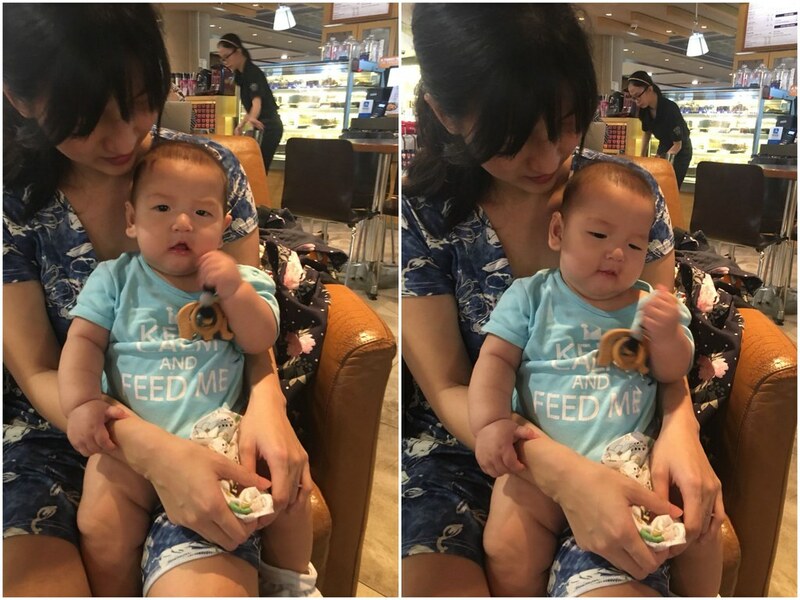 The owner of Nuts & Bolts is Wei Xuan, a lovely homeschooling mama of two. Her children are her main priority and the opening hours of the store actually revolves around their schedule. As such, the store is not open daily but about twice a week. To maintain a comfortable experience for visitors, the store runs on an appointment-only basis. Her children came up with the name Nuts and Bolts, as they used this term instead of “pins and needles”. 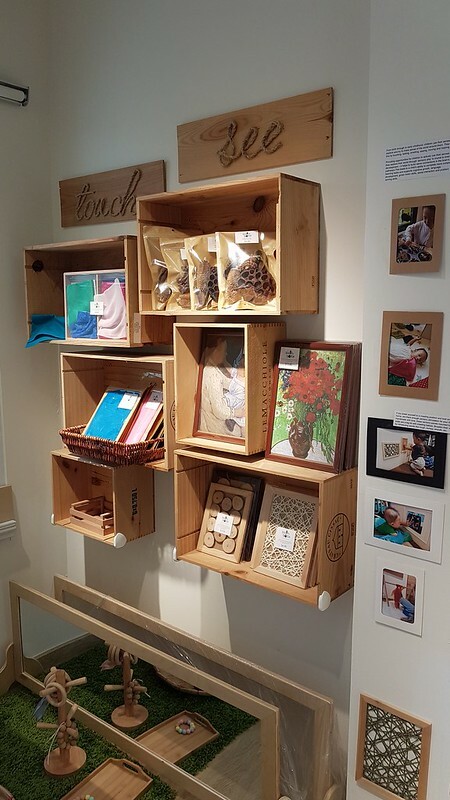 Both children helped to set up the store by painting signs, fixing shelves, cleaning up… the entire store is a product of love by their family. We had the pleasure of visiting the store twice and it was such fun for the children! The store has large glass windows to let natural sunlight shine through. The store itself is not large by any account, but it is well-designed and doesn’t feel claustrophobic. 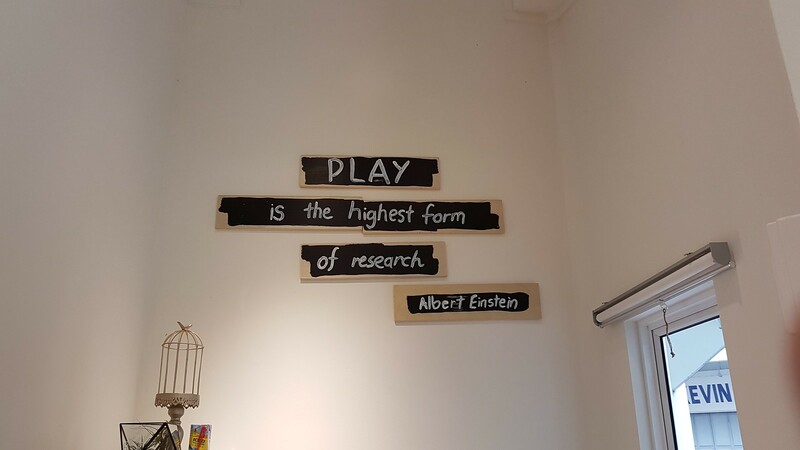 There are various corners where children can play at indoors. Behind the store is a grassy slope where children can run up and down and outside the store are climbing frames, large hollow blocks and a sand corner. These activities will be changed from time to time. 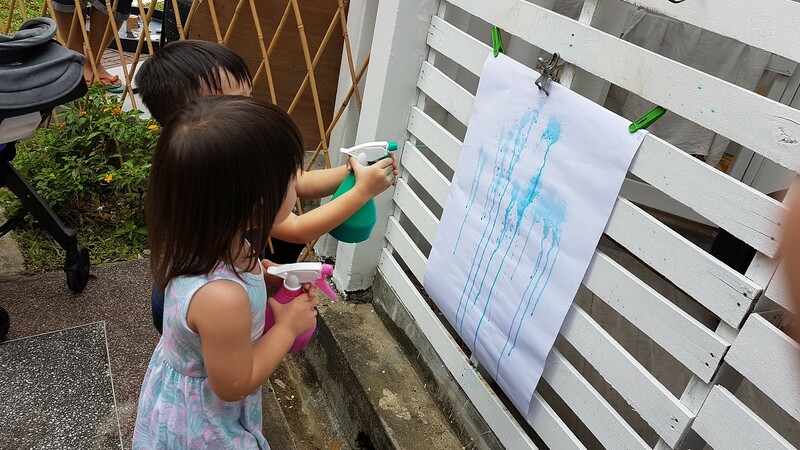 The first time we went there, the kids got to paint on seashells and spray coloured water on a piece of paper using a spray bottle while they painted on a mirror the next visit. 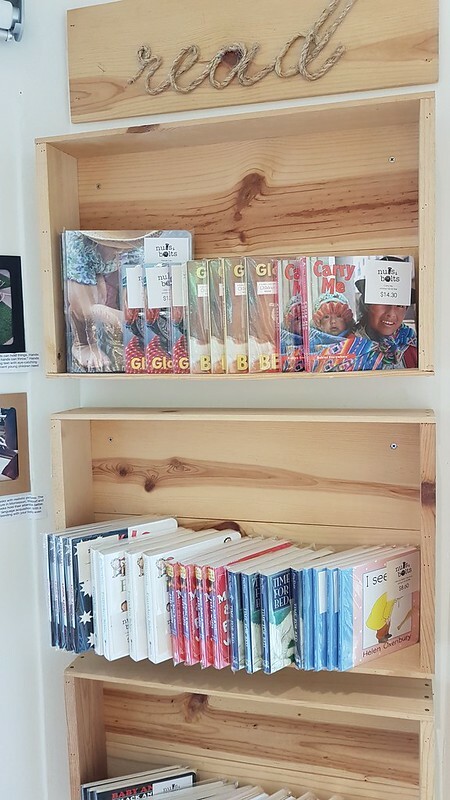 Most of the products which are on sale are available for children to test out. Although there is no obligation to purchase, it is close to impossible to leave empty handed. The products are decently priced, taking into consideration the overheads required to maintain such a place. 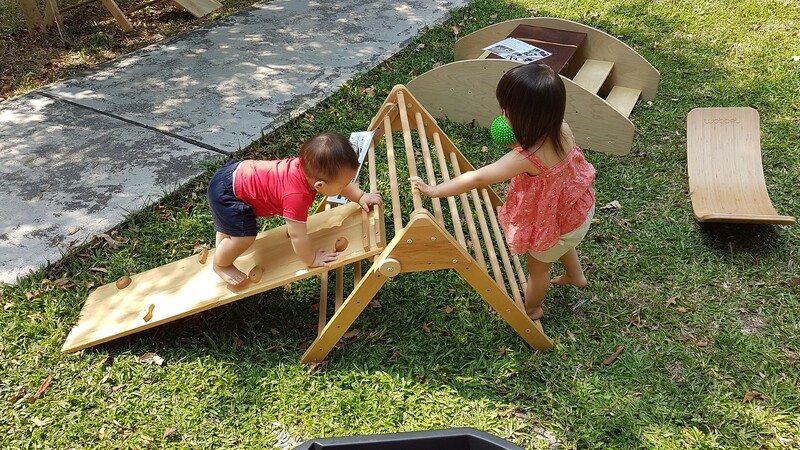 Play objects which promote gross motor skills such as the Wobbel board, Confidence Triangle, Large Hollow Blocks and the Step-up-step-down Rocking Boat can be placed in the home in place of electronic toys. 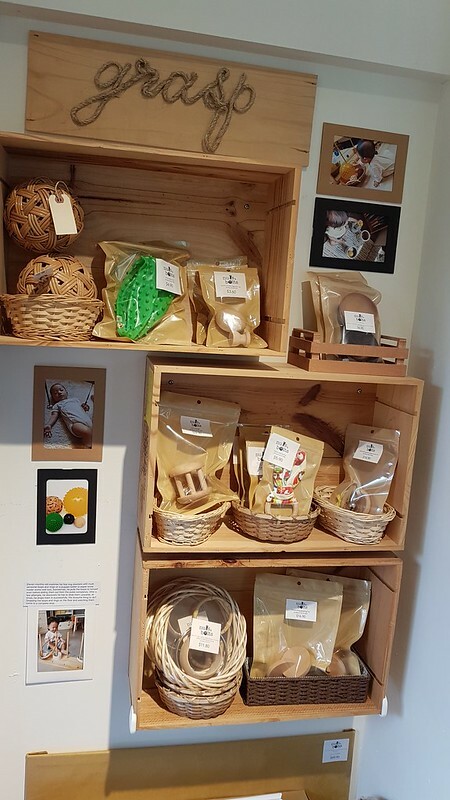 A multitude of smaller toys promoting sensory development and creativity line the walls of the store. 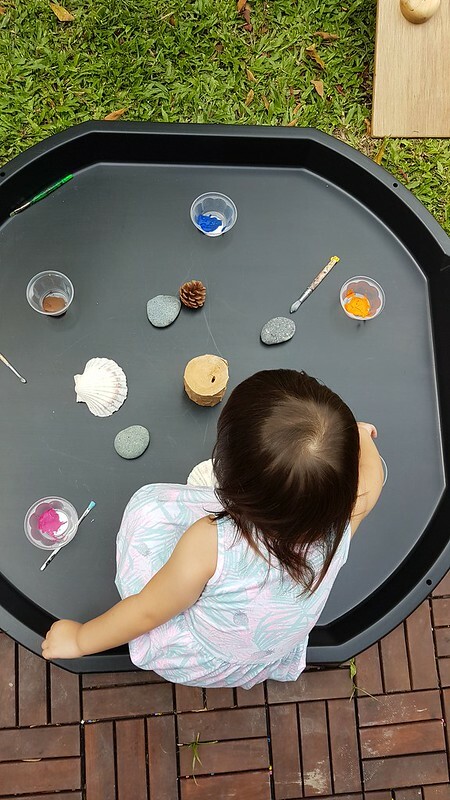 There are treasure blocks, which are wooden hollow blocks with acrylic centres that can be filled with anything from beads to feathers and buttons. 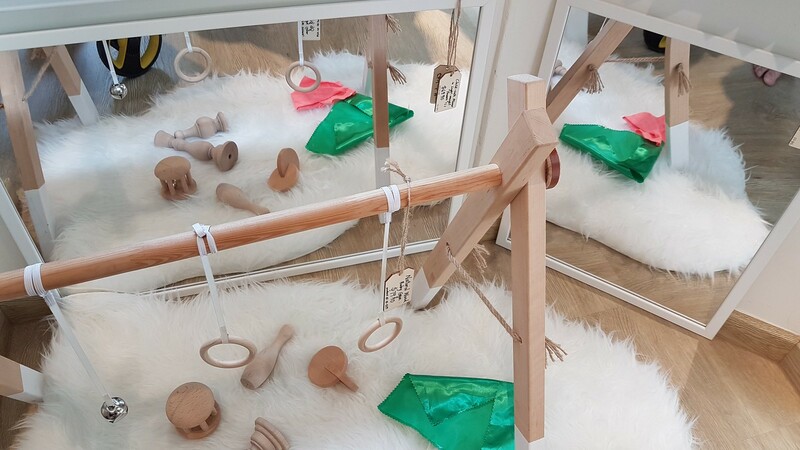 Baby percussion instruments, mirrors, light pads with colourful acrylic paddles and geometric shapes… there are simply too many to list. 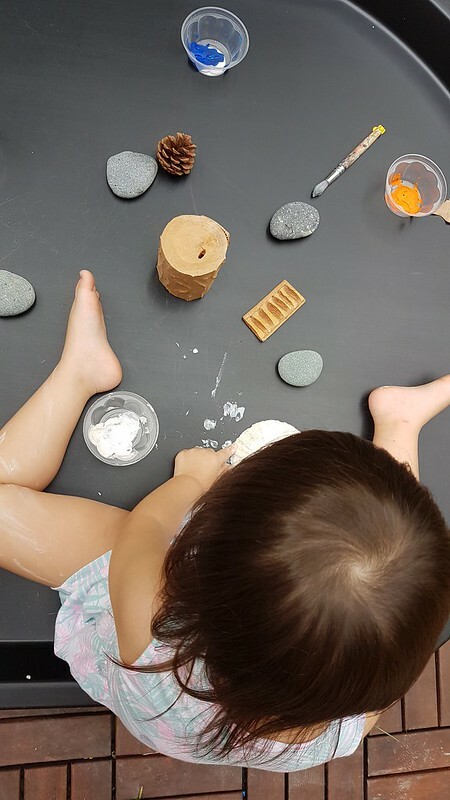 Mirrors are an integral part of the Reggio Emilia approach because it adds depth and structure to a child’s learning when he is able to see the object from all angles. The mirrors sold are child safe and do not contain glass. 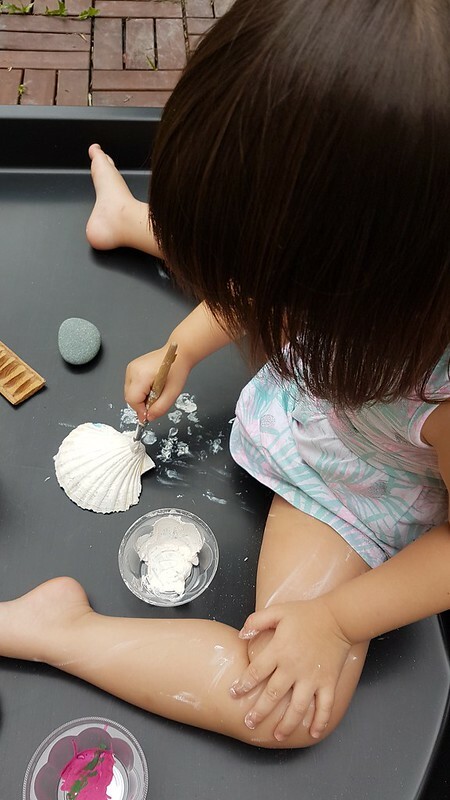 Wei Xuan mentioned that she likes observing how each child uses the play objects and behaves. Some are confident, some are shy, some need help while others don’t. The children couldn’t keep themselves away from the sand area. Didi loved it so much, he put it in his mouth. 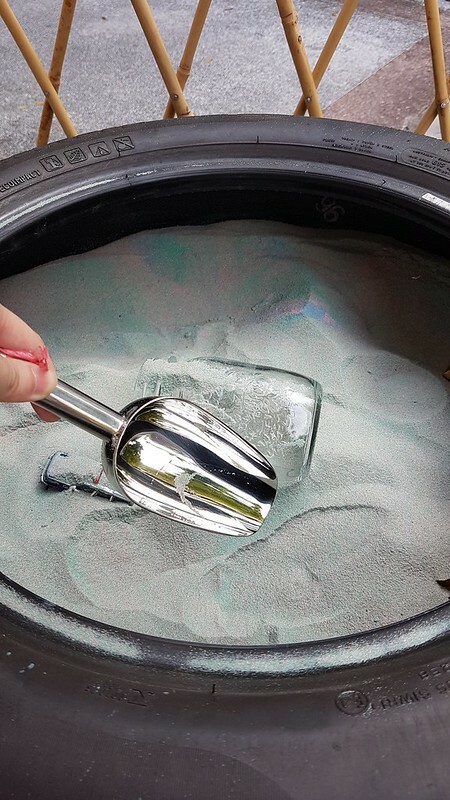 Pro-tip: bring a bottle of powder if you’re intending to let your children play with sand so you can dust the sand off easily. There are no washrooms in the store so it may be wise to bring some water for washing hands too. It is a unique concept where children are allowed and encouraged to do what they want with the toys. There is no stress unlike in some stores where you feel like the salesperson is trailing you and guilt-tripping you into buying the products. Over at Nuts & Bolts, it feels more like a playdate at a friend’s house. That said, it is still a store so please don’t bring your children there to play for hours without at least making a purchase to show your support! Like Nuts & Bolts on Facebook to be eligible for a 5% discount! Only cash or PayLah accepted. *** This is not a sponsored review and no compensation was received in exchange for this post. All opinions are my own. Tugga Baby specialises in customised handmade teething accessories for infants and chewellery (chewable accessories) for moms and dads. More than just teethers, she also crafts pacifier/toy chains, keychains and fabric necklaces. She works with a mix of silicone, wood, crocheted beads and fabric. 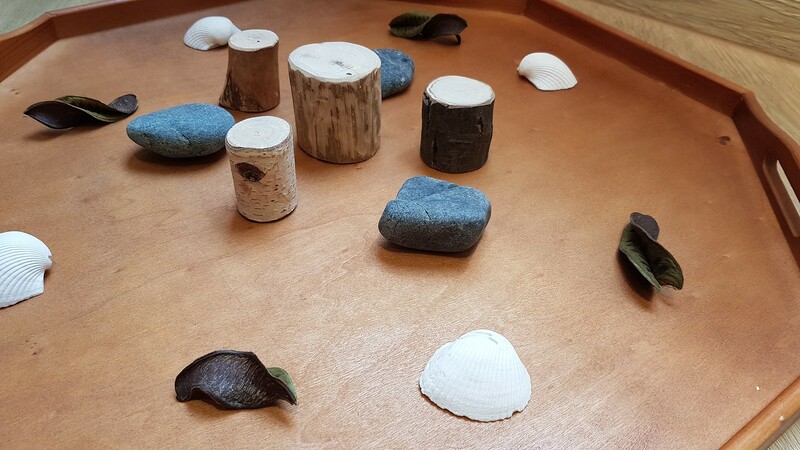 The wood pieces are made from beech wood and you can opt for them to be coated with an in-house wood balm made from beeswax and organic jojoba oil to protect and maintain its condition. Mama Tugga is a SAHM with two young children below 3 years old and she does this as a hobby during her free time after her chores. There are many online stores selling customised teethers, but only a few work with wood, and even lesser can do engraving on wood as it requires a separate engraving machine and the know-how to operate it. Teether rings are available now! We are waiting for more materials to arrive to complete our necklaces and baby carrier accessories. We can’t wait to get started on more designs! 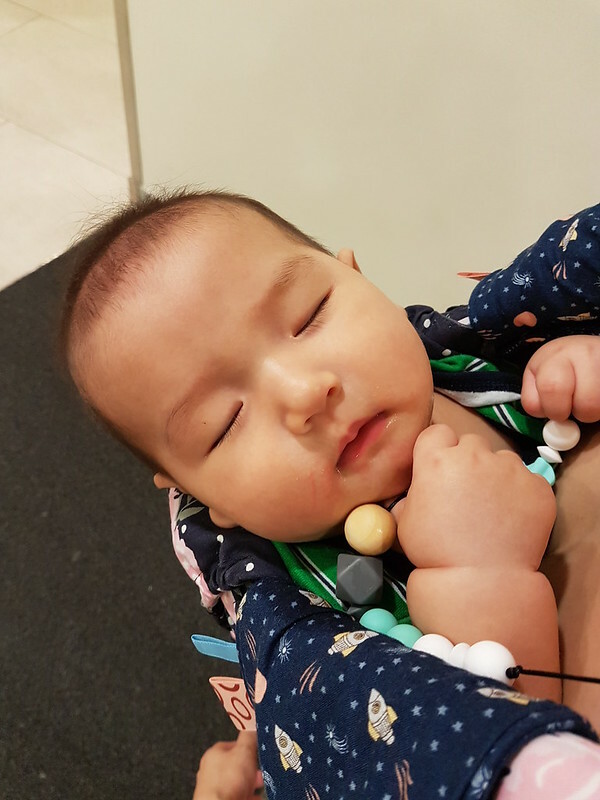 She has silicone bangles for sale which are both stylish for mama and safe for babies with zero risk of drawing blood. 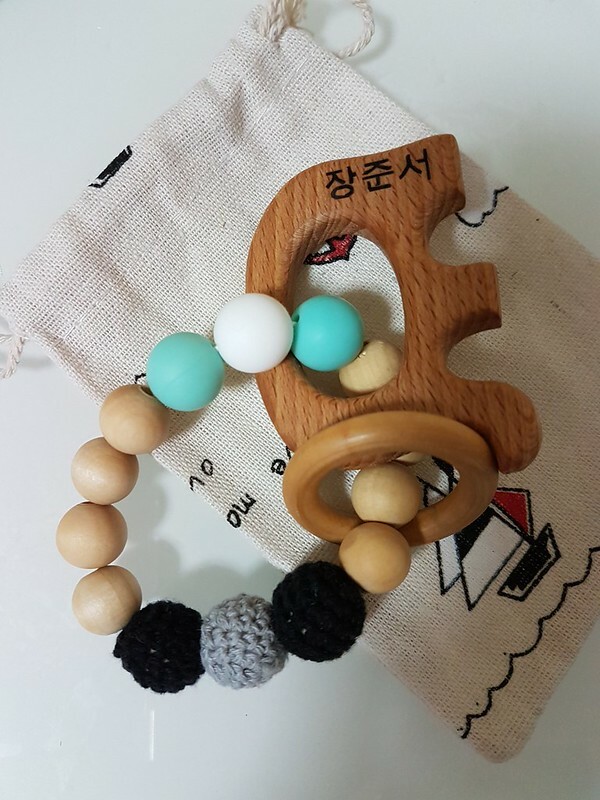 Didi’s teether is customised with silicone, crocheted wooden beads, wooden beads and wooden elephant engraved with his Korean name. 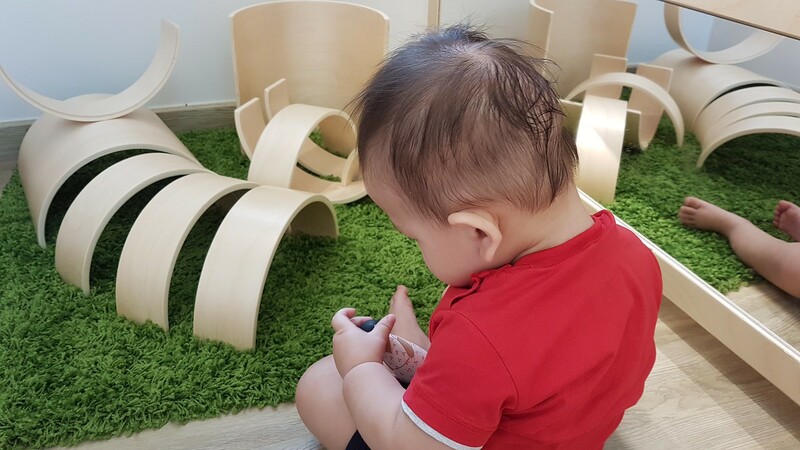 Babies are sensitive to textures and including a mix of materials stimulates their senses, encouraging them to investigate and explore their surroundings. This is how it looked like when we first received it. Due to extremely frequent usage (I clip it on my carrier using a toy strap), the wooden beads are now imprinted with his teeth marks and the wood isn’t as shiny anymore. To maintain its shine, you can purchase a tin of wood balm from them and reapply when needed. The wood balm is made from organic jojoba oil and beeswax and is safe for babies to ingest. These photos were taken a long time ago. I really took my time on this review and can say that this teether is much loved by Didi. In this photo, he’s clutching onto my matching teething necklace of the same colour scheme. The string is made from nylon. Mama Tugga uses surgeon knots to reduce loosening and increase friction. Didi is strong for his age and my teethers have yet to snap, so there’s no worry about it being a choking hazard. Nevertheless, to be safe, always supervise your baby when using the teether. 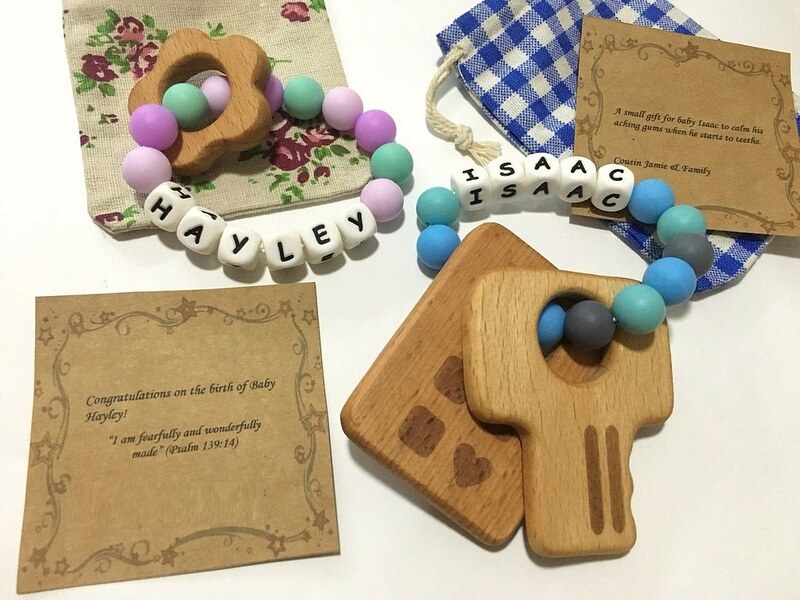 As the teethers are entirely customisable, you can either spell out the baby’s name with silicone beads like I did for the gifts or have the baby’s name engraved into the wooden part of the teether. Teethers can be personalised with English, Chinese or other languages. Add on a printed note to top it off! Here are the 3 teethers I purchased as gifts for friends with new additions. WIN a baby and mama teether set for your little one! Wooden teethers can be engraved with a name of your choice. Details on my Facebook Page and Instagram. Valid till August 31st 2018. 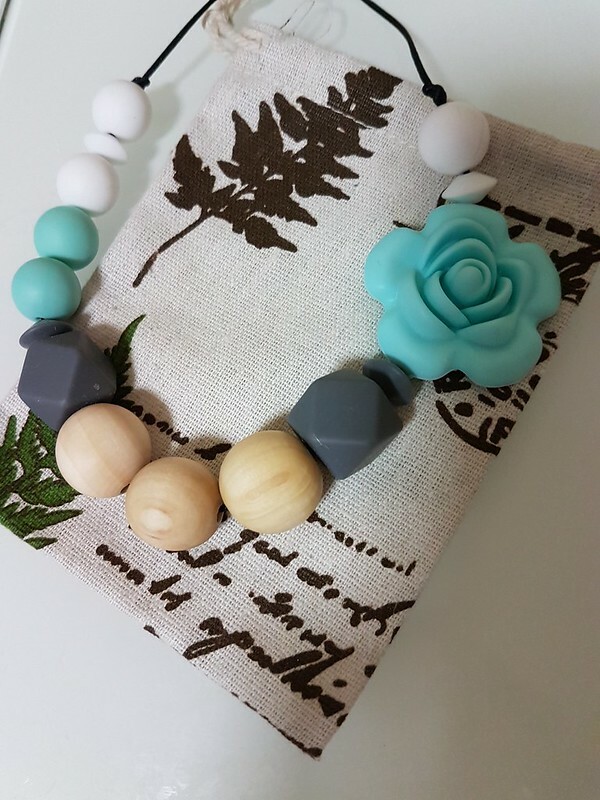 *** I received a personalised teether, necklace and bangle set in exchange for a review and purchased three other teethers as gifts. SG Homemade stands for Stephanie Goh Homemade. 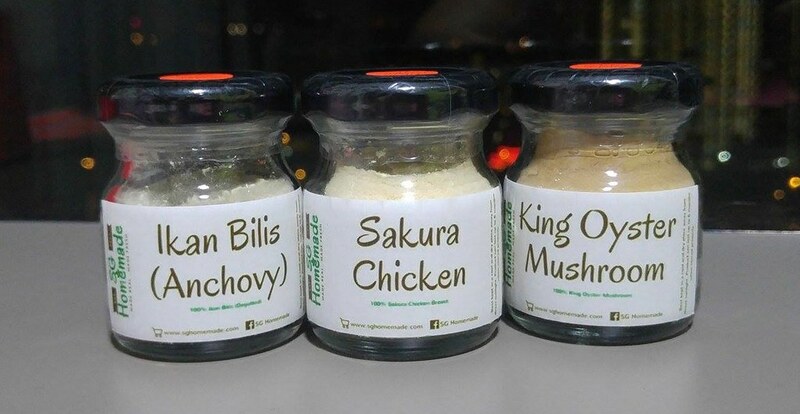 Homemade food powders provide an alternative to processed stock cubes and liquids sold in supermarkets. These are definitely not meant as meal replacements or even ingredient replacements, but serve as natural flavour enhancers for children (and adults) with fussy tastebuds. 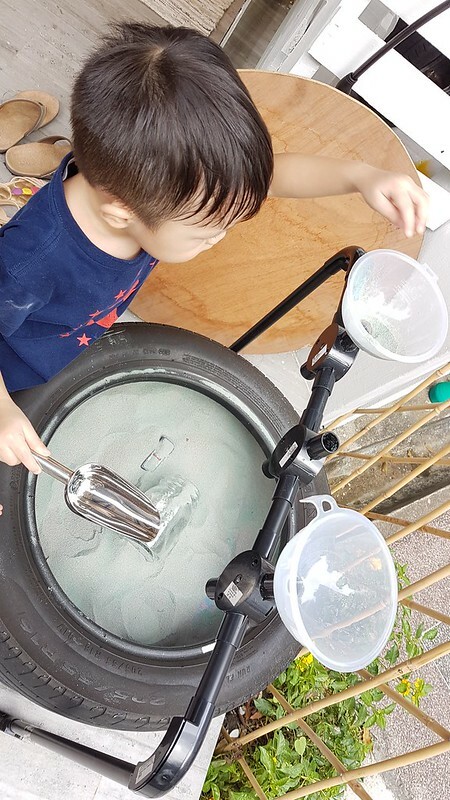 Stephanie is a working mother to a toddler and she started her line of powders after seeing how her daughter finished an entire bowl of bee hoon soup which was made with chicken powder. 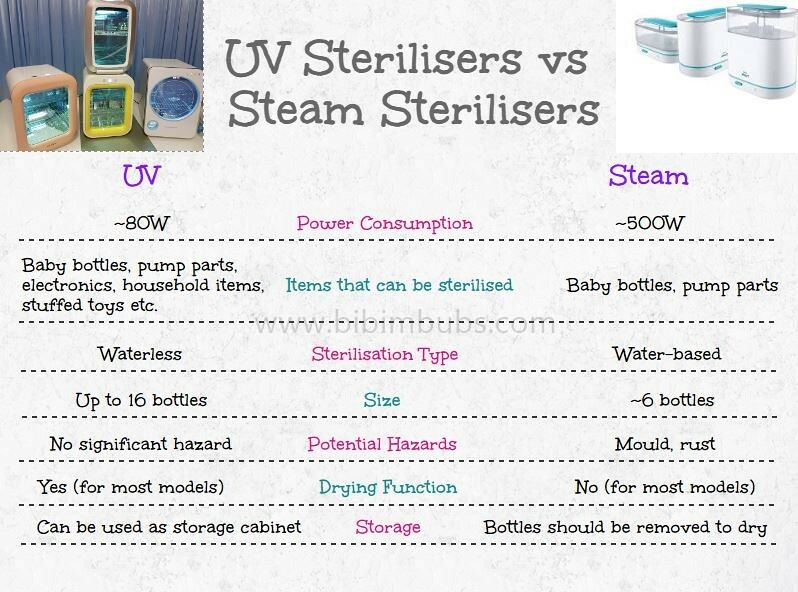 To ensure hygiene standards, she sterilises her equipment, utensils and packaging before use. 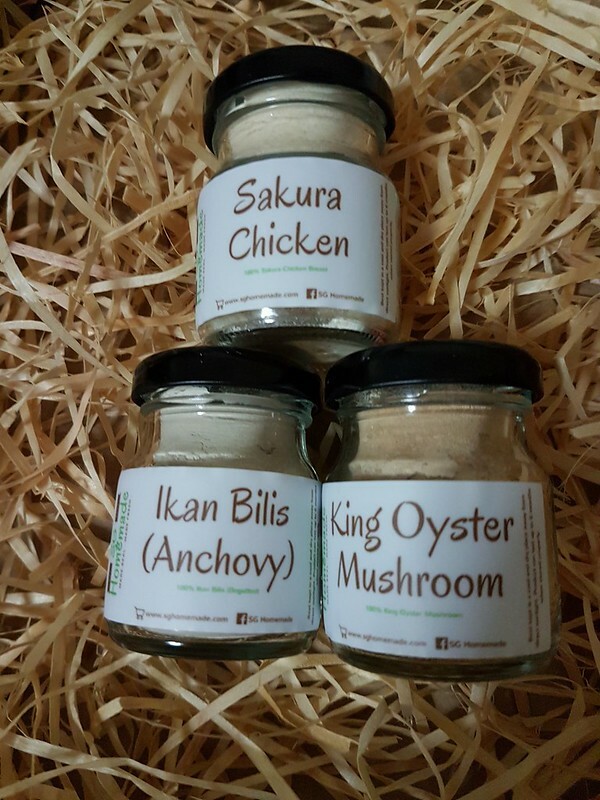 Currently, she has 3 flavours in store – sakura chicken, oyster mushroom and ikan bilis. Stephanie has invested in a proper ordering system for her site so customers can pay securely via PayPal/Card instead of iBanking. There are order numbers and each order is updated with its own SmartPac tracking number when it has been sent out. 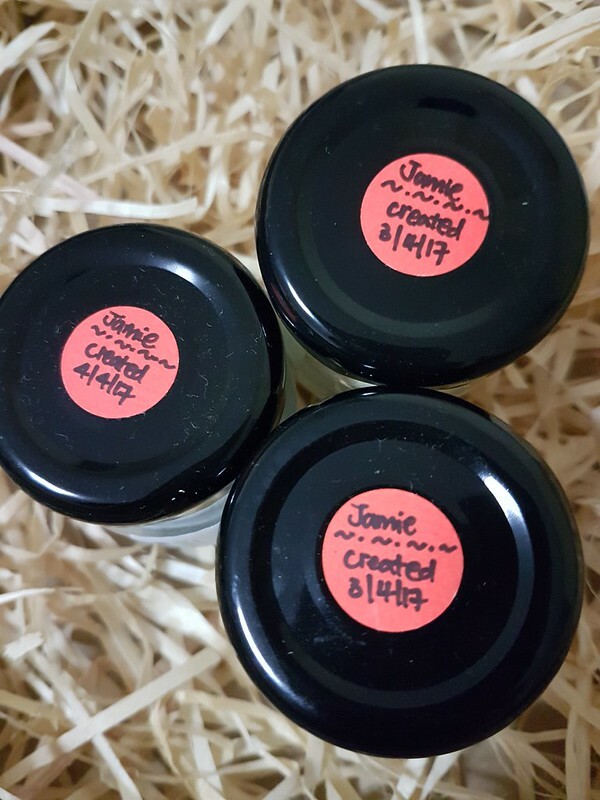 SG Homemade food powders are packed in food grade glass jars with personalised labels and have quality seals along the black covers to ensure that the containers are not tampered with during the delivery process. Although the glass bottles cost more than regular ziplock bags and are heavier to ship, Stephanie prefers this option as glass is the safest medium to store food in, regardless of whether the plastic is BPA-free or not. I’ve used processed chicken and ikan bilis stock cubes from the supermarket before, but found them too salty. Portion control was also an issue, as I didn’t need to use one entire cube for seasoning Elise’s food, yet the remainder could not be kept for long after opening. Previously before I was introduced to food powders, I felt it was a waste of money because I could just use the actual ingredients. 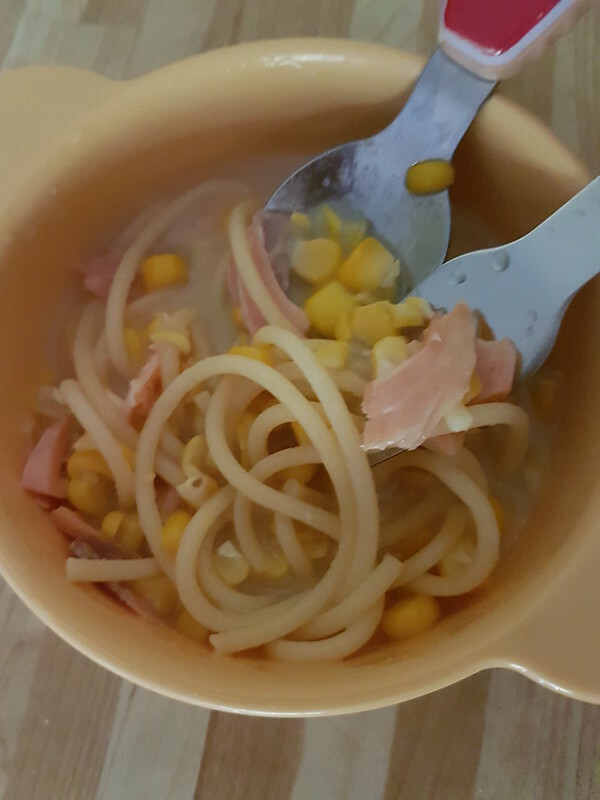 What I didn’t know then, was that there would be days where I would be sooooooooo exhausted and had zero idea what to prepare for Elise’s dinner, yet there aren’t any healthy choices for toddlers in the eating places near my place. These powders are made from actual handpicked ingredients which are baked over a controlled temperature for many hours before being ground into powder. The powders are fine and there are no lumps. It resembles loose powder or baby powder with a light fragrance. I’ve been using them to create bases for pasta and stir-fries. Since it’s already cooked fully, they can be sprinkled onto cooked food or just mixed into hot water. Elise is not a picky eater so she doesn’t have problems eating. 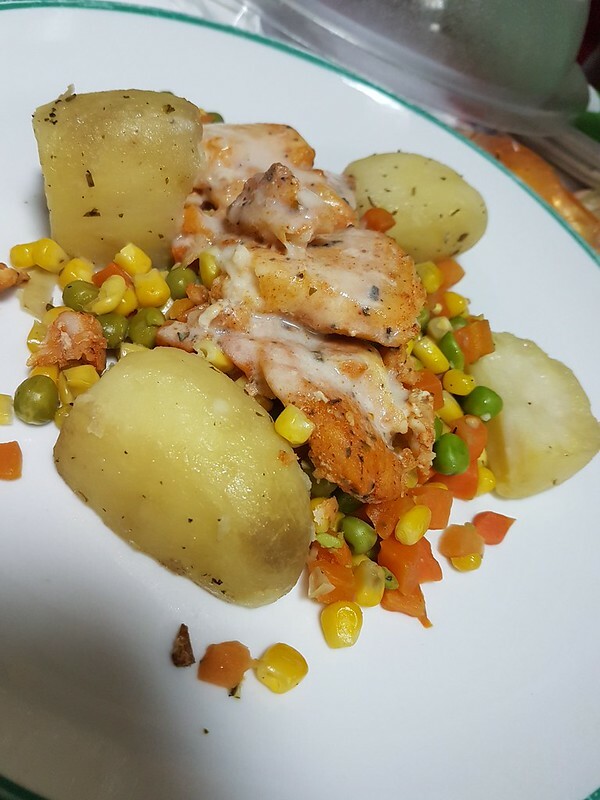 She has, however, been exposed to outside food which are laden with preservatives and seasoning, which is why I try as much as possible to cook with natural flavours as much as possible. Q: Do you add anything else to your powders? A: Only 100% of the ingredient is used, no salt no oil. Q: Is your ikan bilis salty? A: I soak till it’s no longer salty but the fish itself originally does come with salt content. Q: The homemade powder I made at home can only be kept up to 1 week maximum. Why can yours be kept up to 12 months? Do you add preservatives? A: There are methods which utilise high heat to bake the ingredients for a short period of time which kills nutrients. The outside will appear brown but it will not be dry on the inside. 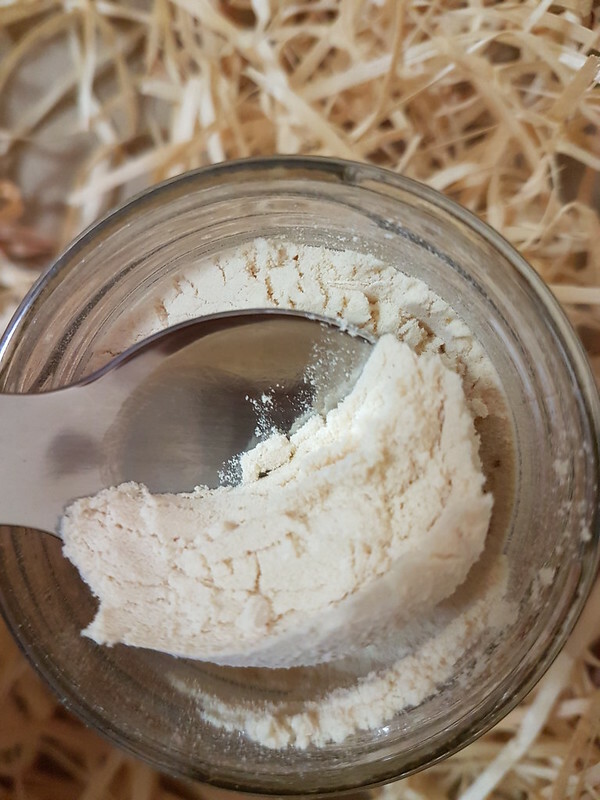 Hence, there is moisture retained and the resulting powder can only be kept for a short period of time before it goes stale. SG Homemade powders can be kept up to 12 months in fridge due to zero moisture content. Ingredients are also cooked below 120 degrees to ensure that nutrients are retained. Q: Why buy when there are so many recipes online? 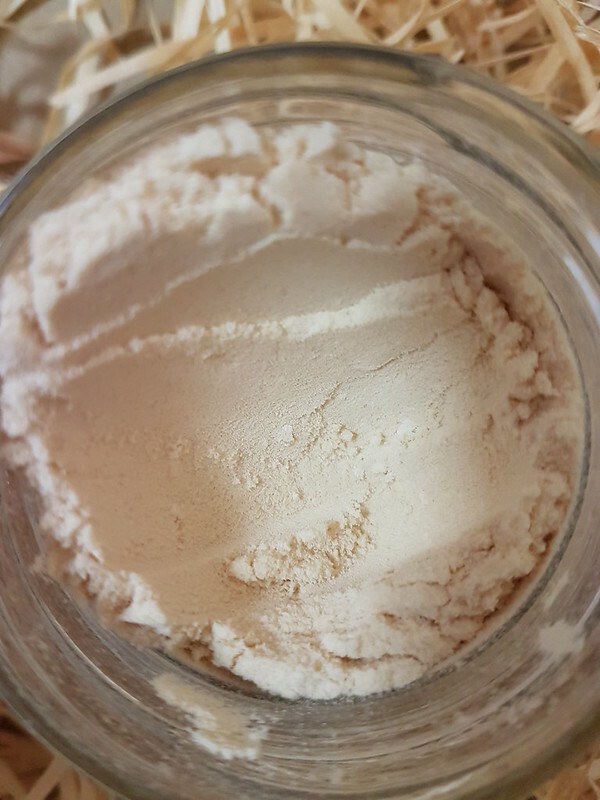 A: You can create powders yourself, but the process to ensure nutrient preservation as well as zero moisture is a tedious one. This is the amount of raw product needed to create 20g of powder! Q: How long does it take to receive my product? A: As all items are created upon order, the current lead time is about 2 weeks. 1) Pan-fry beef and carrots with a bit of butter. 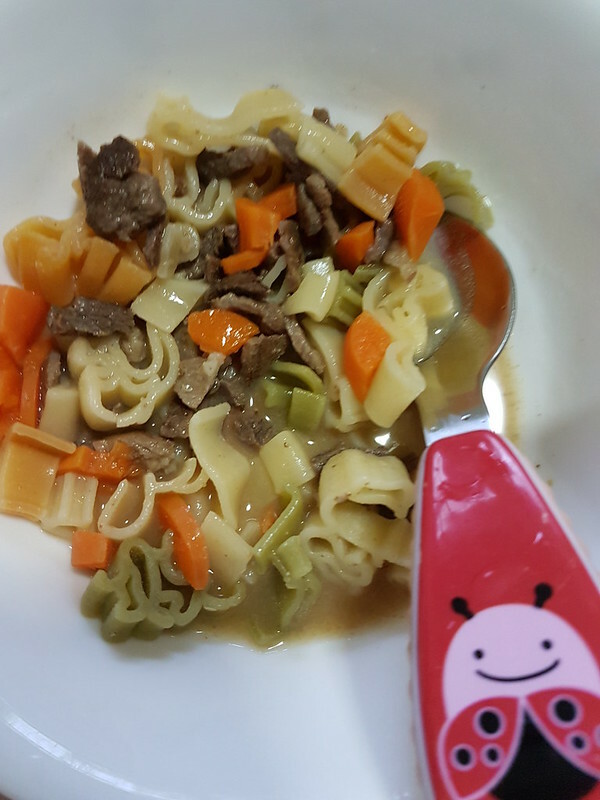 Boil baby shapes pasta in another pot. 2) Add cooked pasta to pan. 3) Sprinkle mushroom powder for added flavour. 1) Boil water in frying pan with a bit of chicken powder. 2) Place spaghetti into pan on medium fire until it turns soft and stock is reduced. 3) Add in corn kernels and salmon. 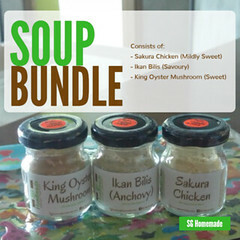 Congratulations to Isabelle Liu for winning the soup bundle! The discount code SGNEWBIE for $10 off $50 is available for all to use! 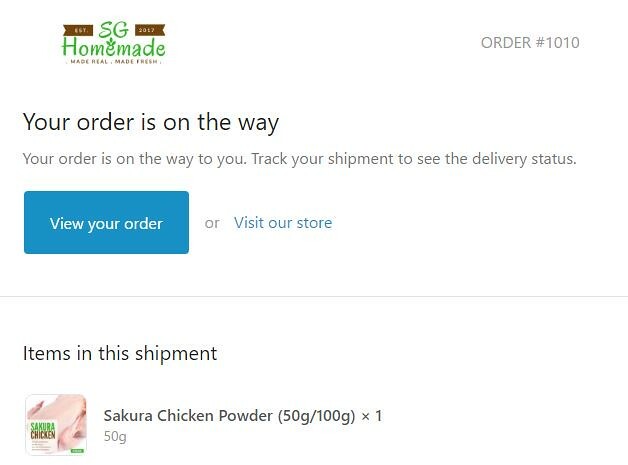 ** I received a soup bundle (20g x 3 jars) to review and purchased a 50g Sakura Chicken powder jar to test out the ordering system. No monetary compensation was received in exchange for the review.